If there’s any problem with Monet (and, of course, there is not), it’s wrapping one’s mind around the vast collection of vibrant and expressive art he gave the world. Choosing any single image to represent his style and ethos is an impossible task. So we put it to a vote and landed on this new image for our second Chardonnay release. Many identified with the image of friends having a good time together. And we liked how it fit nicely alongside our label for “Pinot Renoir.” In fact, the artists were close friends and both painted this same scene. Pretty fun, huh? Which do you prefer? This is Renoir’s take on the scene. We accepted votes from far and wide to help us choose our new label. Find out how it tastes! We hear a lot of positive comments about our labels. Which is always gratifying because we put a lot of thought into our product design. 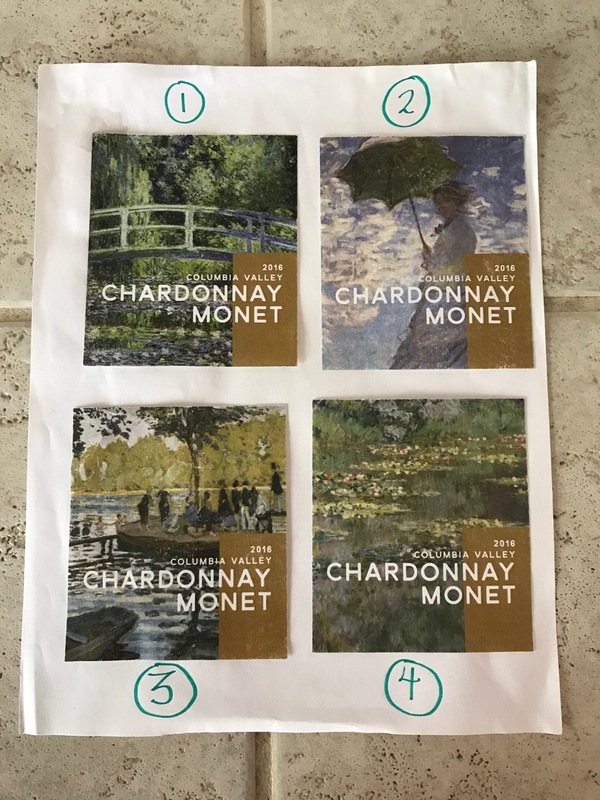 Once we decided to combine the emotional appeal of classic art with approachable, delicious wine, we chose to present our Chardonnay accompanied by a painting by Monet. He’s especially known for water lilies, of course, and we considered several options in that theme. But none of them really evoked Chardonnay for us. We liked the golden colors exhibited in a few different outdoor scenes and then this beach image grabbed us. To our eyes, it’s as if the path to the water is inviting the viewer into the scene. Besides, who wouldn’t want to sit on a French beach enjoying a delicate, expressive Chardonnay? Especially one made in such a quintessentially French style. We almost used this painting of haystacks for our first Chardonnay label. 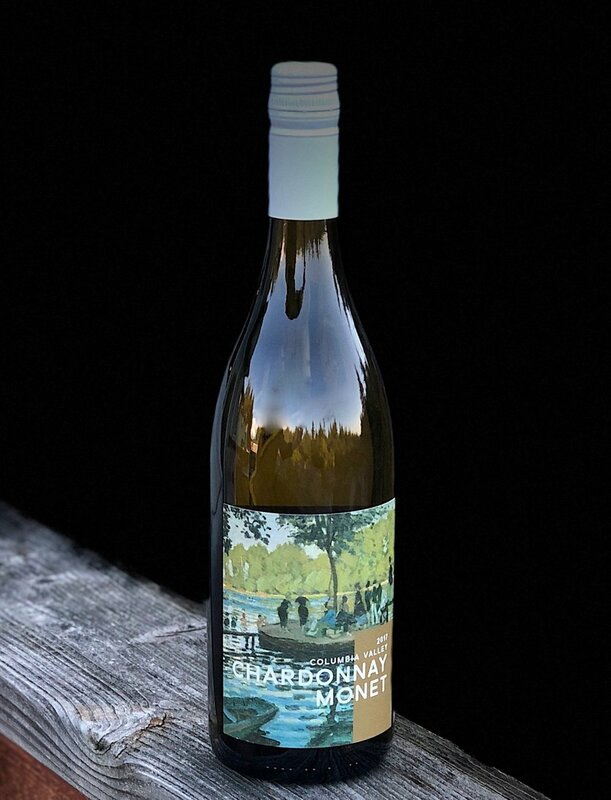 Fun fact: The Monet painting on our first Chardonnay Monet label is from the beach at Pourville, France. That’s right, POUR-ville. You can’t make this stuff up.